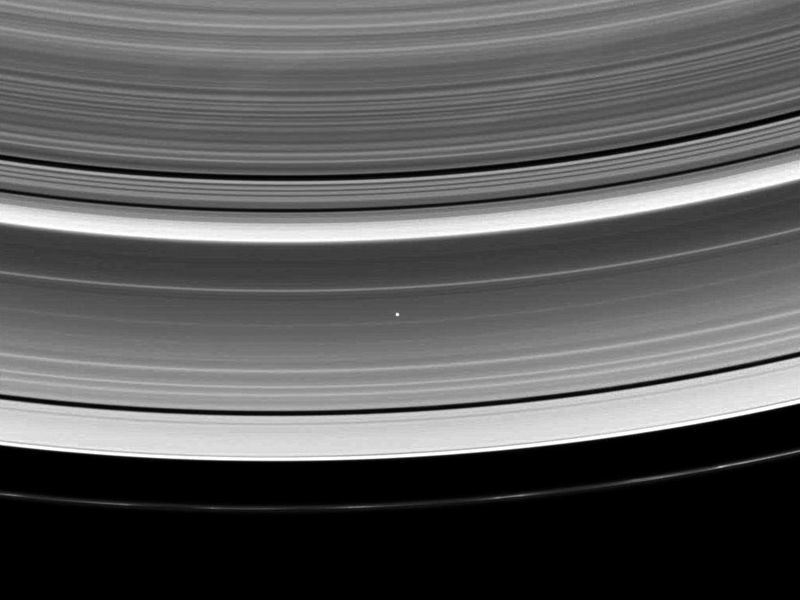 Light from the star Beta Crucis (Mimosa) breaks through the plane of the A ring in the center of this image of a stellar occultation. 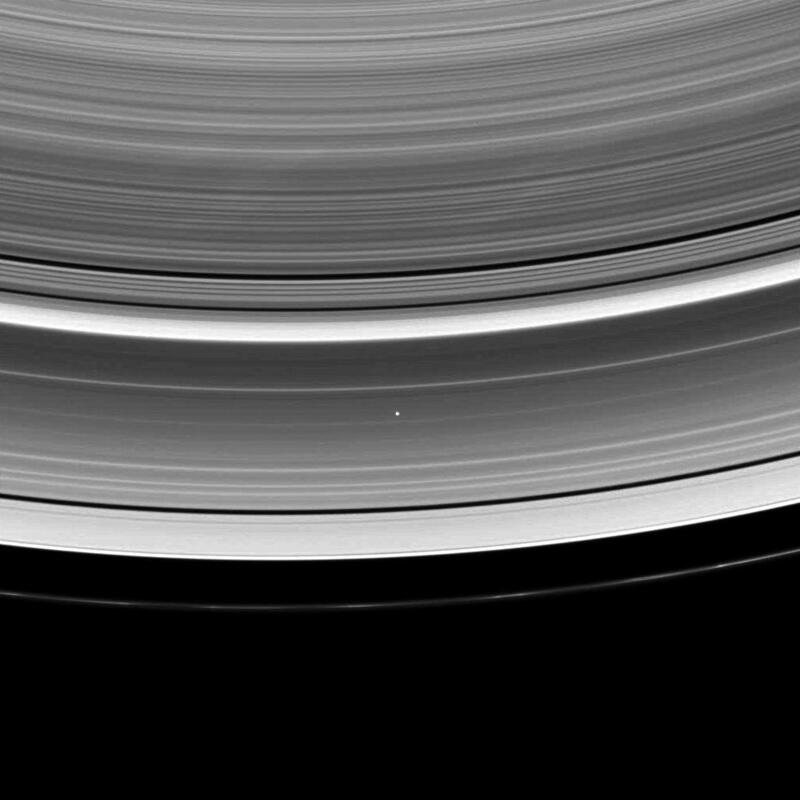 Several of Cassini's remote-sensing instruments use occultations like this to measure the opacity of the ring system. Occultations involving Titan and Saturn are also used to study upper atmospheric haze layers. 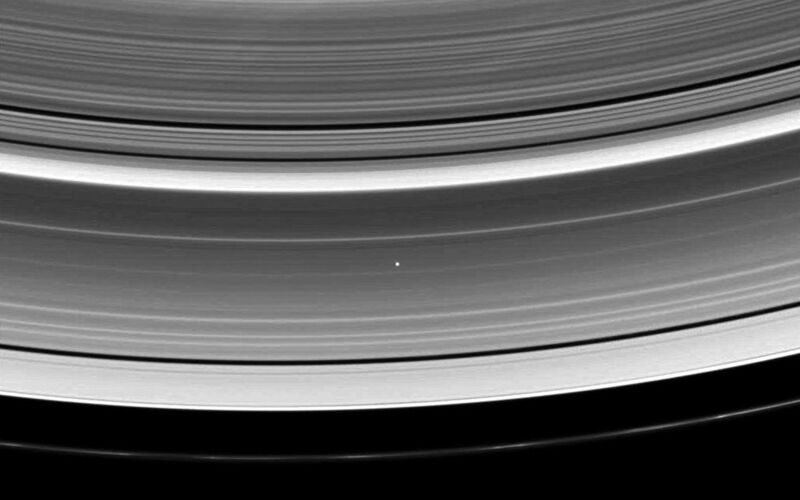 The image was taken in visible light with the Cassini spacecraft wide-angle camera on Dec. 24, 2008. 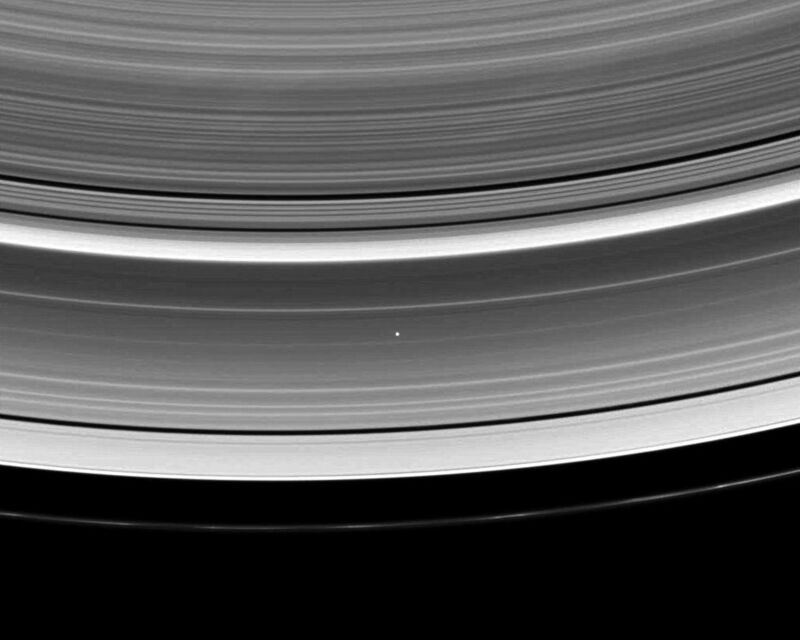 The view, which looks toward the unilluminated side of the rings from about 58 degrees above the ringplane, was obtained at a distance of approximately 825,000 kilometers (513,000 miles) from Saturn and at a Sun-Saturn-spacecraft, or phase, angle of 69 degrees. Image scale is 54 kilometers (34 miles) per pixel.